David Cameron talks fiscal restraint, but the British PM is dangling tax cuts as a vote-winner. Other EU leaders are also eyeing political gains in unbalanced budgets. They’re not in denial. Rates are low and unemployment is high. For now, there’s room and reason to spend. 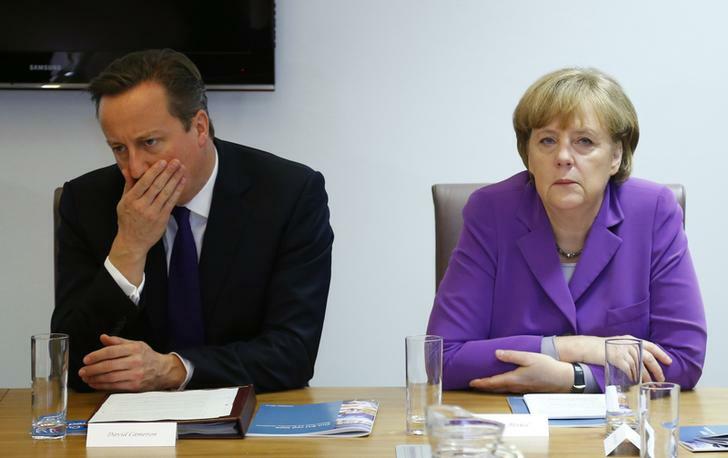 Britain's Prime Minister David Cameron and Germany's Chancellor Angela Merkel attend a meeting for a business task force called "Cut EU Red Tape" during a EU summit in Brussels October 25, 2013. Prime Minister David Cameron promised to hand almost half the British population a tax cut if re-elected next year, a pledge he hopes will win over millions of voters and refocus debate away from a schism inside his party over Europe.